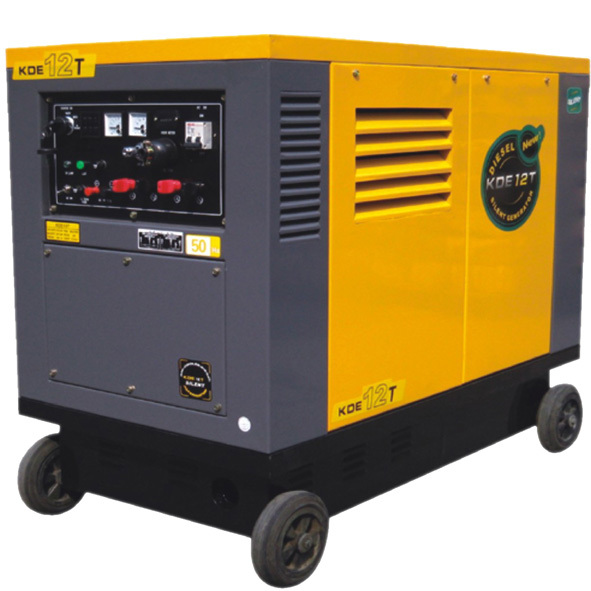 Diesel generator sets are used as electric fault after power failure emergency standby power providers, most of the time used in standby state, once the blackout, requires the unit” move, for it”. Otherwise the standby unit will lose its meaning! How can we achieve this goal? Practice has proved: strengthening daily maintenance is the most economical and effective method. Because the unit is static, the unit itself various materials with oil, cooling water, diesel oil, air and other complex chemical, physical changes, which will be set” on” bad, and in some cases below:The unit cannot start normally fault, there are nearly 30% causes of failure are: starting battery failure, such as: long time no maintenance storage battery, electrolyte water volatile cannot get seasonable complement; no configuration starting battery charger; battery long time discharge natural power is reduced; or the charger need artificial periodic charging / float switch, due to negligence of switching operation causes the battery does not reach the requirement. To solve this problem in addition to the installation of high-quality charger, the necessary inspection and maintenance is a must. There are many serious faults, often due to small maintenance to negligence. For example: diesel oil storage tank of the water vapor in the atmosphere, as a result of changes in temperature condensation to form water, hanging in the inner wall of the oil tank, into the diesel oil, causing diesel water exceed the standard, the diesel oil into the engine high pressure oil pump, corrodes the precision couplings – plunger, severely damaged unit. Regular maintenance can be avoided. Another example: engine lubricating oil is the presence of a shelf life, long time storage, oil physical and chemical properties change, caused when the unit works lubricant deterioration, easily lead to engine parts damaged. So the oil should be replaced regularly. Analysis of fault of many cases of reasons: as long as the establishment of perfect maintenance procedures, timing specification for unit maintenance. Can make the unit when the key to ” get up, get on for”!